FORT BRAGG, N.C. (USASOC News Service, Jun. 29, 2012) – In a precedent setting ceremony for the U.S. Army Special Operations Aviation Command, Chief Warrant Officer 5 David F. Cooper relinquished Command Chief Warrant Officer responsibility to Chief Warrant Officer 5 Robert D. Witzler. The Army is implementing CCWO positions in all Combat Aviation Brigades, so numerous warrant officers were on hand to witness the sequence of events. The CCWO serves as a technical expert in the command group and acts as a mentor to unit members. Col. Clayton M. Hutmacher, USASOAC Commanding Officer, presided over the ceremony on Meadows Field at the USASOC headquarters. Members of the 82nd Division band performed music at the ceremony. Warrant Officers on the field represented the USASOAC units. Cooper became the first CCWO of USASOAC when the unit provisionally activated in March 2011. Of the position, Cooper said, “the CCWO is the senior warrant officer advisor to the commander, providing the utmost leadership and mentorship for all warrant officers in the command, giving sound advice to the command’s officers and showing care and compassion for all Soldiers and their families.” Later in the day, the Distinguished Service Cross recipient and member of the Army Aviation Association Hall of Fame retired after 27 years of service. 6/20/2012 – KANDAHAR AIRFIELD, Afghanistan (AFNS) — A small group of Air Guardsmen were joined by senior leaders June 18 to celebrate the completion of their deployment in support of Operation Enduring Freedom and to honor the deactivation of the 702nd Expeditionary Airlift Squadron here. The 702nd EAS was activated here July 31, 2011, and charged to operate the C-27J Spartan in direct support of U.S. Army missions in the Regional Command – South area of operations. During this rotation, the majority of the Airmen from 702nd EAS were from the Maryland Air National Guard. This deployment marked their third rotation to Afghanistan in five years. The squadron deactivated after flying 3,200 missions, moving 1,400 tons of cargo, transporting 25,000 passengers and executing 71 airdrops, officials said. The achievements are even more impressive since the squadron operated only two aircraft. “Persistent powerful presence-that’s the mission of the 451st Air Expeditionary Wing, and the 702nd (EAS) has lived up to that statement in every respect,” said Col. Robert Kiebler, the 451st Expeditionary Operations Group commander. As the 702nd EAS becomes a part of history, the support provided to time-critical tactical airlift will not go with it. “We will continue to provide world-class tactical airlift in support of operations in Regional Command – South,” said Kiebler. The U.S. Army 25th Combat Aviation Brigade served as the link for the 702nd EAS to the Army while it conducted operations in Afghanistan. The squadron flew missions that were directed and scheduled by the brigade. The 25th CAB commander praised the departing Air Guardsmen for adopting his unit’s motto, “We fly for the troops,” during the deactivation ceremony. Supporting the warfighter was a constant focus of the squadron in its 10 months of operation. The squadron prided itself in providing rapid response in support of the mission. “We had folks bring in boxes of blood (to the squadron), with crews already at the plane,” said Lt. Col Michael Lunt, the 702nd EAS commander. “We walked it out to the aircraft, and it went out the door to Tarin Kowt. “You can’t find a better mission than tactical airlift,” Lunt said. A clear sense of accomplishment prevailed among the unit and leadership. “This rotation has been for me, and the men and women of the Maryland, Ohio, Georgia, Mississippi, North Dakota and Arkansas Air National Guard, a very challenging, but, in many ways for us, the most rewarding rotation we’ve been on,” Lunt said. WASHINGTON (AFNS) — The Department of Defense POW/Missing Personnel Office announced today that the remains of two servicemen, missing in action from the Vietnam War, have been identified and are being returned to their families for burial with full military honors. Lt. Col. Charles M. Walling of Phoenix was buried June 15 at Arlington National Cemetery in Washington, D.C. There will be a group burial honoring Walling and fellow crew member, Maj. Aado Kommendant of Lakewood, N.J., at Arlington National Cemetery on Aug. 8 — the 46th anniversary of the crash that took their lives. On Aug. 8, 1966, Walling and Kommendant were flying an F-4C aircraft that crashed while on a close air support mission over Song Be Province, Vietnam. Other Americans in the area reported seeing the aircraft crash and no parachutes were deployed. Search and rescue efforts were not successful in the days following the crash. In 1992, a joint United States-Socialist Republic of Vietnam team investigated the crash site and interviewed a local Vietnamese citizen who had recovered aircraft pieces from the site. In 1994, a joint U.S.-S.R.V. team excavated the site and recovered a metal identification tag, bearing Walling’s name, and other military equipment. In 2010, the site was excavated again. Human remains and additional evidence were recovered. 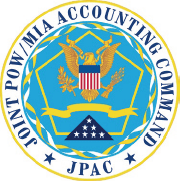 Scientists from the Joint POW/MIA Accounting Command and the Armed Forces DNA Identification Laboratory used circumstantial and material evidence along with forensic identification tools, including mitochondrial DNA that matched Walling’s living sister, in the identification of the remains. For additional information on the Defense Department’s mission to account for missing Americans, visit the DPMO website at http://www.dtic.mil/dpmo.
. On June 14, at approximately 1:30 a.m., a fire destroyed the Red Star Senior Apartments, a 119 unit apartment complex under construction located at Seventh Street and Mandela Parkway. Preliminary estimate of property damage is $25 million. Participating agencies include the Oakland Fire and Police Departments. The fire occurred next to the West Oakland Bay Area Rapid Transit (BART) station and caused all BART lines between San Francisco and Oakland to be shut down. In addition, track insulators, communication cables, electrical cables and other trackside equipment were damaged. The damage estimates do not include damage caused to the BART station. ATF is investigating this fire jointly with the Oakland Fire Department and Oakland Police Department. We will coordinate our efforts and provide our expertise and resources to determine the origin and cause of this fire, stated Jeffery E. Vind, ATF Acting Special Agent in Charge of the San Francisco Field Division. This is the ninth activation of the NRT in Fiscal Year 2012 and number 730 since the inception of the team in 1978. The NRT will include 22 team members and is expected to be on scene today. ATF’s activation of its National Response Team speaks to the seriousness of the fire that occurred in West Oakland, and the impact it had on thousands of Bay Area residents who were affected by the BART station closure, stated Teresa Deloach Reed, Oakland Fire Chief. It is our responsibility to do all we can to identify the cause of this fire, and bring the individuals who may be responsible to justice. Other local activations of the NRT in the area include the Roseville Galleria Mall fire in 2010, a commercial building that housed Walgreens and Subway sandwich shop in Palo Alto in July 2007, a large commercial warehouse in Sacramento in September 2006, and Wine Central fire in Vallejo in October 2005. In 1978, ATF developed the NRT to investigate in partnership with Federal, State and local investigators in meeting the challenges faced at the scenes of significant arson and explosives incidents. The NRT consists of four teams organized geographically to cover the United States. Each team can respond within 24 hours to work jointly with State and local law enforcement/fire service personnel in onsite investigations. In addition to investigating hundreds of large fire scenes, the NRT has also been activated to scenes such as the 1993 World Trade Center bombing, the Oklahoma City Murrah Federal Building bombing and the 9/11 Pentagon crash site, as well as explosions at explosives and ammunition manufacturing plants, legal fireworks factories and illegal explosive device manufacturing operations. The teams are each composed of veteran special agents who have post blast and fire origin–and–cause expertise; forensic chemists; explosives enforcement officers; fire protection engineers; accelerant detection canines; explosives detection canines; intelligence support; computer forensic support and forensic audit support. The teams work alongside State and local officers in reconstructing the scene, identifying the seat of the blast or origin of the fire, conducting interviews, and sifting through debris to obtain evidence related to bombing/arson incidents. Further complementing the team’s efforts are technical, legal and intelligence advisors. Moreover, a fleet of fully–equipped response vehicles strategically located throughout the United States are available to provide logistical support. ATF is the federal agency with jurisdiction for investigating fires and crimes of arson. More information on ATF can be found at www.atf.gov. The addition of these chemicals to Schedule I of the Controlled Substances Act will be included as part of S. 3187, the Food and Drug Administration Safety and Innovation Act. Schedule I substances are those with a high potential for abuse; have no medical use in treatment in the United States; and lack an accepted safety for use of the drug. In addition to scheduling the 26 drugs, the new law would double the length of time a substance may be temporarily placed in schedule I (from 18 to 36 months). In addition to explicitly naming 26 substances, the legislation creates a new definition for “cannabamimetic agents,” creating criteria by which similar chemical compounds are controlled. In recent years, a growing number of dangerous products have been introduced into the U.S. marketplace. Products labeled as “herbal incense” have become especially popular, especially among teens and young adults. These products consist of plant material laced with synthetic cannabinoids which, when smoked, mimic the delirious effects of THC, the psychoactive ingredient of marijuana. According to the United Nations Office on Drugs and Crime, more than 100 such substances have been synthesized and identified to date. DEA has used its emergency scheduling authority to place in schedule I several of these harmful chemicals. Newly developed drugs, particularly from the “2C family” (dimethoxyphenethylamines), are generally referred to as synthetic psychedelic/hallucinogens. 2C-E caused the recent death of a 19 year-old in Minnesota. The substances added to Schedule I of the Controlled Substances Act also include 9 different 2C chemicals, and 15 different synthetic cannabanoids. 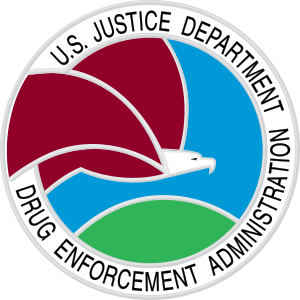 The American Association of Poison Control Centers reported that they received 6,959 calls related to synthetic marijuana in 2011, up from 2,906 in 2010. MINA SALMON PIER, Bahrain (NNS) — Combined Task Force (CTF) 151 (counter-piracy) held a a change of command ceremony aboard British Royal Fleet Auxiliary Fort Victoria, June 18. Rear Adm. Anho Chung, Republic of Korea navy, relieved Rear Adm. Tanin Likitawong, royal Thai navy, as commander. The ceremony concluded the royal Thai Navy’s first command of CTF 151, which consisted of a multinational staff embarked aboard Fort Victoria. The royal Thai navy has had considerable counter-piracy experience in the region over the last two years. 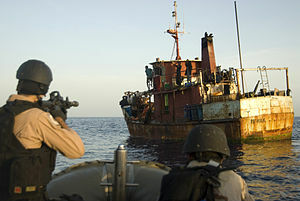 They previously deployed ships to Combined Maritime Forces (CMF) counter-piracy mission, with a further deployment scheduled for later in 2012. This was confirmed by the Thai Prime Minister, Yingluck Shinawatra, who expressed her continued commitment to CMF when she visited the headquarters in May for an update on current operations and the royal Thai navy contribution. The three month operation further strengthened ties with other counter-piracy naval forces and operations in the region, as well as developed communication and collaboration within the merchant shipping community. By focusing on international cooperation and coordination, response times to incidents has been reduced. “The success of counter-piracy mission is based on the strength of the multinational staff and the support which RFA Fort Victoria was able to give as my flagship,” said Litikawong. Litikawong welcomed Chung and said he has the right talent, mindset and leadership to continue the mission. “The support from CMF has made my team 100 percent ready for this mission,” Chung said. CTF 151 is one of three task forces under control of Combined Maritime Forces, based in Bahrain. CTF 151 was established in 2009 to deter, disrupt and suppress piracy, protect maritime vessels of any nationality and secure freedom of navigation for the benefit of all. CTF 151’s area of operation encompasses 1.1 million square miles in the Gulf of Aden and Somali Basin. BOSTON – The Transportation Security Administration (TSA) today announced the start of TSA Pre✓™ operations at Logan International Airport (BOS). At BOS, select Delta Air Lines frequent flyers and members of U.S. Customs and Border Protection (CBP) Trusted Traveler programs are now eligible to participate in the initiative and may receive expedited screening benefits when traveling domestically. TSA Pre✓™ – a passenger prescreening initiative – is part of the agency’s larger risk-based security effort that enhances security by focusing resources on travelers considered higher risk or about whom the agency knows less. To date, more than 1.4 million passengers have experienced TSA Pre✓™. The program is now available at 16 airports for eligible Alaska Airlines, American Airlines and Delta Air Lines frequent flyers. Eligible passengers include U.S. citizens flying domestically on participating airlines, as well as those who are members of CBP Trusted Traveler programs, including Global Entry, SENTRI and NEXUS. BOS has a CBP Enrollment Center in Terminal E. Individuals interested in applying for a CBP Trusted Traveler program should visit www.globalentry.gov. If TSA determines a passenger is eligible for expedited screening through the TSA Pre✓™ prescreening process, information is embedded in the barcode of the passenger’s boarding pass. TSA reads the barcode at the designated checkpoint and passengers may be referred to the TSA Pre✓™ lane where they will undergo expedited screening, which could include being able to leave on shoes, light outerwear and belts, allowing them to keep their laptop in their cases and their 3-1-1 compliant liquids/gels bags in their carry-ons. TSA has expanded TSA Pre✓™ benefits to U.S. military active duty members traveling through Ronald Reagan Washington National and Seattle-Tacoma International airports. In addition to TSA Pre✓™, TSA has implemented other risk-based security measures including modified screening procedures for passengers 12 and younger and 75 and older. TSA will always incorporate random and unpredictable security measures throughout the airport and no individual is guaranteed expedited screening. TSA’s multi-layered approach to security also includes behavior detection officers, explosives-detection systems, canine teams, and federal air marshals, among other measures, both seen and unseen. For more information about TSA’s risk-based security initiative, visit www.tsa.gov.